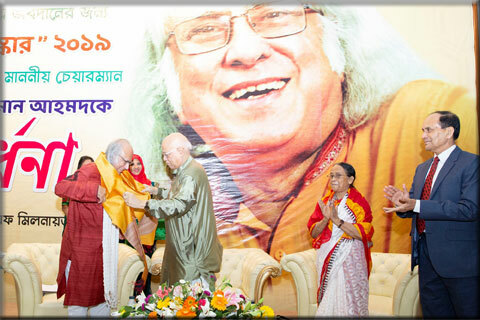 PKSF accorded a grand reception to its Chairman Dr Qazi Kholiquzzaman Ahmad on his receiving the highest State civilian honour. 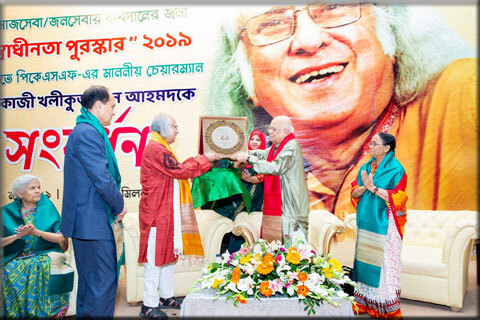 The eminent economist, a proponent of human-centred development was awarded the Swadhinata Puroshkar (Independence Award) 2019 by the Government of Bangladesh in recognition of his lifelong service for the welfare of the people. 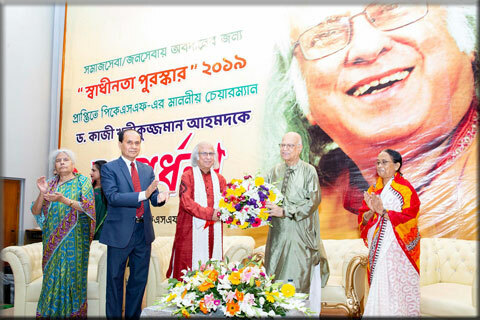 Prime Minister Sheikh Hasina handed over the Award to him at a gala event on 25 March 2019. 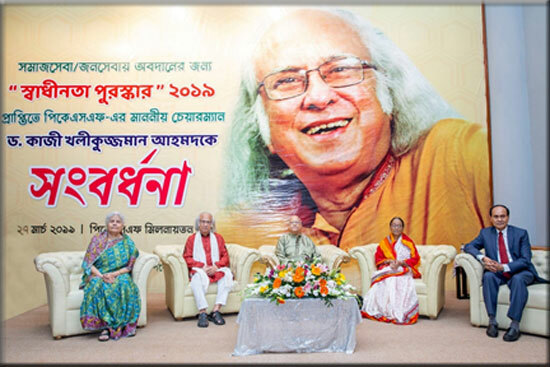 To celebrate his achievement, PKSF and its Partner Organisations (POs) organised the reception on 27 March 2019 at PKSF Bhaban. 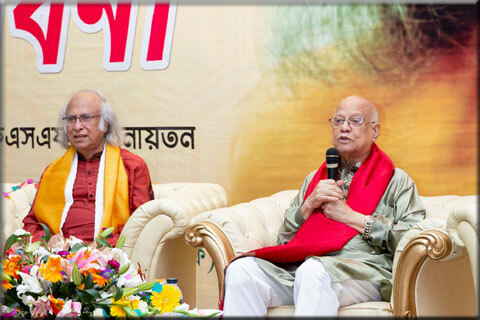 Former Finance Minister Mr Abul Maal Abdul Muhith chaired the event while Mr Md Abdul Karim, Managing Director of PKSF, delivered the welcome speech. 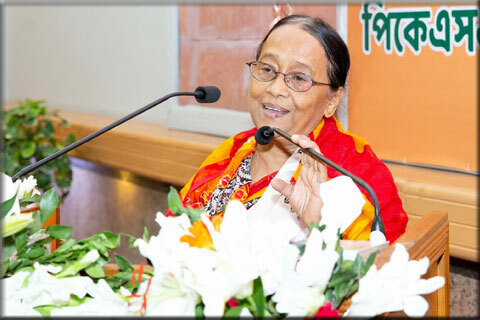 Celebrated litterateur Ms Selina Hossain spoke as a Special Guest on the occasion. 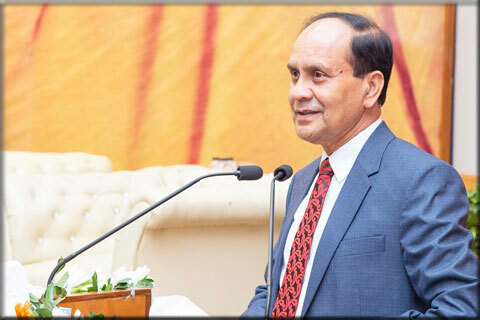 Dr QK Ahmad was greeted with flowers and showered with praises for his lifelong service for the betterment of people, especially the disadvantaged ones. 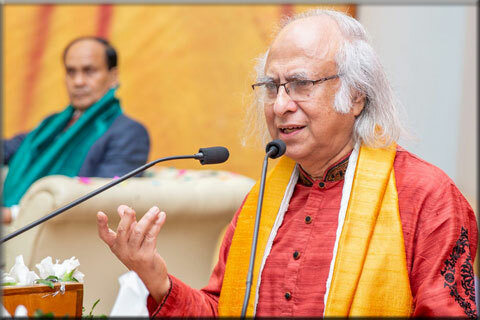 Members of PKSF Governing Body and General Body and other officials, Executive Directors of POs and representatives of various government offices and social organisations attended the programme.